Cow has been reading the trio of books by Mel Gilden. As always, you can find anything on the Internet, even a review by somebody else who just read them too. If you are a Raymond Chandler fan, you might enjoy the adventures of Zoot Marlowe, alien being raised on 1930's radio shows, come to earth in the 1980's because Trouble is His Business. And 1980's earth welcomes him with all the hallmarks of the time including surfin' in Malibu, hanging out and chillin' with a Brewski. There's even talking, gun-toting Gorillas, sure to interest a certain member of Cow's readership. How disappointing. We gorillas are virtual pacifists compared with the average gunfighter. Having a gorilla as a shaolin monk would have made more sense. In the book the Gorillas were victims of a gene experiment trying to have hair grow on bald men. So perhaps training as a Shaolin would have helped them come to peace with their victimhood, lay down their shotguns and become leaders of a peaceful free world. Sounds (and looks) like a well written comic book. I don't mean that in a bad way. How did you find this, cow? Was it a recommendation? The cover reminds me of an old Flash Gordon serial. 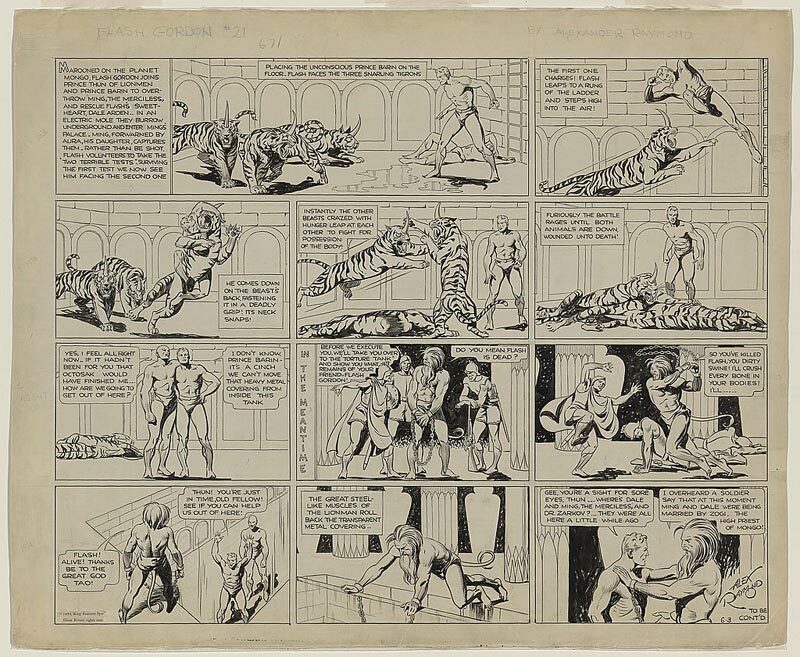 If possible, try and get sight of collections of the 30s and 40s Flash Gordon comic strips that were fabulously drawn by Alex Raymond and, later, Mac Raboy. Sorry Watercolor and Sandi, not ignoring, just swamped with "real-life" work at the moment...no offense meant! :) i am in the boat with you cow!! do cows get in boats.......? Gorillas are more prone to being Gentleman detectives, I think.